HomeAmazon Web ServicesAppceleratorMobile AppsWordpress Appapella Sing, Rap, Produce and Collaborate. New app called Appapella, it allows people to sing and rap over instrumentals you can then add a audio filter, similar to how you would add a photo filter on Instagram, then instantly share the recording via Twitter, Soundcloud, SMS, Email or Facebook. Here is a example of a user using it and instantly tweeting their produced track on twitter. Here is a example from a user with the filter applied. It’s a great way for people to either have fun or create versions and collaborate and share with the artists who have submitted the instrumentals. Layer your vocals over one of our great instrumental tracks provided by talented musicians. Choose one of our great audio filters to layer over your vocals and enhance your track. Save your favourite lyrics so they’re easy to find for future recordings. 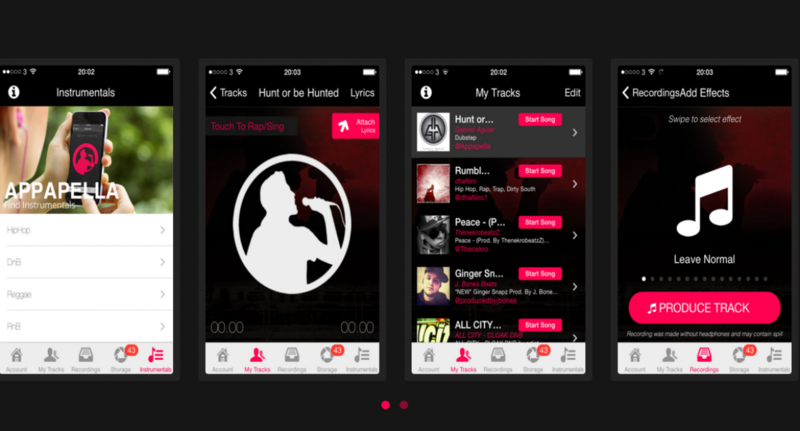 Easily share your produced track with your friends via Twitter, Facebook, email, and text. Attach the chosen lyrics to the track you’re recording for a mistake free result. Get yourself involved! 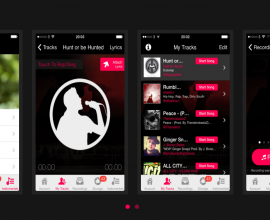 Submit your instrumental tracks or lyrics for use on the app.